This is a great song for the New Year! Be resolved to follow Jesus! I know that I have life only insofar as I have love. I have no love except it come from Thee. 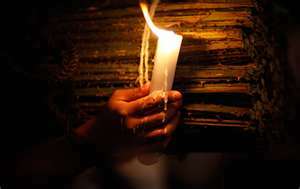 Help me, please, to carry this candle against the wind. March to the Manger 2011 from Jeremy Mavis on Vimeo. Thanks Jeremy for posting this up for us! Instead of recounting your woes. . .
Rather than hashing your frustrations. . .
Why fuss with your family, when you can. . .
Don't fret about things you can't fix . . ..
Quit grumbling about what you don't have. Focus on what you DO have and.. . . Instead of stewing in your circumstances, take a chance and . . .
Sure, there's plenty wrong with this old world -- but there's plenty right too! 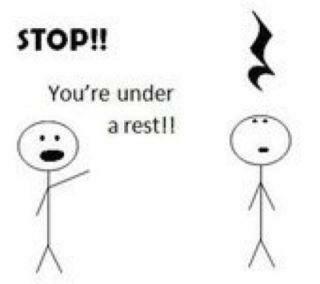 Just stop for a moment and . . Yesterday carries a load of baggage, but remember the glad days and . . . Tomorrow brings uncertainties, but nothing you and God can't handle together. Throw your shoulders back with faith and . . .
Life on earth is much too short to spend in swamps of discouragement. Look up! Help is on the way! You can smile and . . This Sunday, Hayward Wesleyan Church is going to do the longer version of the Wesley Covenant Renewal Service, which was first published by John Wesley in 1780. I've taken the liberty to adapt and combine a few versions of the Covenant for the pattern we're going to use. The shorter version we've used for the past few years can be found here. I drew heavily from the versions from George Lyons and Jeren Rowel. Introduction: Historical background of John Wesley, and the purpose for the covenant renewal. Hymn: “Come Let Us Use the Grace Divine” written by Charles Wesley especially for the covenant renewal. Let us now pray together the Lord’s Prayer. Do not delay the matter. If you are unresolved, you are resolved. If you remain undetermined for Christ, you are determined for the devil. Therefore, follow your hearts from day to day. Do not rest until this matter is settled once and for all. And see to it that you make a good choice. Next, begin your journey with Christ. Adventure with Him. Cast yourselves upon His righteousness. You are exiles from the presence of God and fallen into a land of robbers and murderers. Your sins are robbers, your pleasures are robbers, your companions in sin are robbers and thieves. If you stay where you are, you perish. Christ offers, if you will venture with Him, to bring you to God. Will you say now to Him, "Lord Jesus, will You take me? Will You bring me to God and bring me into the land of promise? With You I will risk myself. I cast myself upon You, upon Your blood, upon Your righteousness." This is coming to Christ as your Priest. And by this you now renounce your own righteousness. Do you deeply sense your need of God’s grace in Christ? Whether we are already forgiven sinners, or still far from God, let us confess together our total dependence on Him. Is there no hope of escaping from this wretched state? I am but dead, if I continue as I am. What can I do to be saved?" LEADER: Being made aware of his sin and his danger, a sinner will look for help and deliverance, but he will look everywhere else before he looks unto Christ. Nothing will bring a sinner to Christ but absolute necessity. He will try to forsake his sins. He will go to prayers, and sermons, and sacraments and search out if there is salvation in them. But all these, though they be useful in their places, are of no help. His duties cannot help him; these may be numbered among his sins. Ordinances cannot help; these are but empty cisterns. They all tell him, "You knock at a wrong door; salvation is not in us." Do you now utterly despair of your own goodness, or do you trust in anything but Christ? PEOPLE: Lord, be merciful to me. What shall I do? I dare not remain as I am, and I cannot help myself. My praying will not help me. My hearing will not help me. If I give all my goods to the poor, if I should give my body to be burned, all this would not save my soul. Woe is me. What shall I do? First, God’s initiative. He has taken the first move. God the Father has appointed and sent Christ into the world to save sinners. Jesus Christ is the One whom God the Father has made our Savior. He is redeeming and reconciling the world to himself. Second, God’s command. This is His commandment, that we should believe on the name of His Son, Jesus Christ. Third, God’s promise. 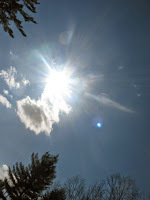 "Behold, I lay in Zion a chief cornerstone, elect, precious; and whoever believes on him shall not be disappointed. Now, because we have this threefold assurance of God’s initiative, command, and promise, we may now be bold to risk everything for Christ and to make ourselves totally available to Him. LEADER and PEOPLE: Lord Jesus, here I am, a lost creature, an enemy to God, under His wrath and curse. Will You, Lord, take me as I am, reconcile me to God, and save my soul? Do not refuse me, Lord, for if You refuse me, to whom then shall I go? If I had come in my own name, You might well have ignored me; but since I come at the command of the Father, do not reject me. Lord, help me. Lord, save me. I throw myself upon Your grace and mercy. I trust Your saving death alone to save me. Do not refuse me. I have nowhere else to go. Here I will stay. I will trust You, and rest in You, and risk myself for You. On You I lay my hope for pardon, for life, for salvation. If I perish, I perish on Your shoulders. If I sink, I sink in Your ship. If I die, I die at Your door. Do not bid me to go away, for I will not go. Commit yourselves to Christ as his servants. Give yourselves to him, that you may belong to him. Christ has many services to be done. Some are more easy and honorable, others are more difficult and disgraceful. Some are suitable to our inclinations and interests, others are contrary to both. In some we may please Christ and please ourselves. But then there are other works where we cannot please Christ except by denying ourselves. First, set apart some time, more than once, to be spent alone before the Lord; in seeking earnestly God’s special assistance and gracious acceptance of you; even if you have already given your life to Christ. Consider the laws of Christ, how holy, strict and spiritual they are, and whether you, after having carefully considered them, are willing to choose them all. Be sure you are clear in these matters; see that you do not lie to God. Third, claim God’s covenant, rely on God’s promise of giving grace and strength, so you can keep your promise. Trust not your own strength and power. Fourth, resolve to be faithful. You have given to the Lord your heart. You have opened your mouth to the Lord and you have dedicated yourself to God. With God’s power, never go back! O righteous God, for the sake of your Son, Jesus Christ, forgive my unfaithfulness in not having done your will, for you have promised mercy to me if I turn to you with my whole heart. and help me to set it aright. And now, O glorious and blessed God, Father, Son and Holy Spirit, you are mine, and I am yours. So be it! And Let this covenant I have made on earth be ratified in heaven. The Lord’s Supper shall be served. The launching of a New Year is a good time for new resolutions. Real resolutions are not wish lists, "I should's" or "Wouldn't it be nice?" Resolution literally means "wholehearted commitment." Every river has bedrocks, and the water flows around the rocks. The only way to make signficant change is to implement your commitments like rocks -- and then let the rest of life flows around them. Many well meaning people depend on inspiration to keep their spiritual resolutions. Now, inspiration is a good booster to get the rocket off the ground -- but won't keep it flying. Resolutions won't stick unless accompanied by solid plans! These plans, when embraced, are the rocks -- the priorities -- and everything else flows around them. With this in mind. . .
1. What is your Bible Reading Plan? If you don't have one, you won't do it. You may intend to read the Bible regularly, but your efforts will be feeble at best. Scripture is our spiritual food. You need it for soul nourishment! What is your plan to regularly feed your soul with the Word? Don't know how to develop one? Youversion has a wonderful selection of over 50 Reading Plans. Why not try one of those? 2. What is your Prayer Plan? If you wait until you feel like it, you will only pray during emergencies. God should be more than our spare tire. He's the steering wheel! Prayer is our spiritual breath. We cannot survive without it! What new prayer commitments do you need to make? How will you build these into your life? When will you pray? How can you strengthen your prayer practices? How can you develop a better prayer pattern with your family? 3. What is your Church Attendance Plan? The Bible challenges us to "forsake not the gathering of believers." A recent study of church attendance patterns revealed that most of our "regulars" come less than 75% of the time. We're all busy -- but if we're busy to order our lives around God's priorities, then we should change something. You need to worship with your brothers and sisters. You need to join your heart together in corporate prayer. You need to be strengthened by messages from the Bible and your family needs to understand this priority. Also, your brothers and sisters need you for support, strength and encouragement. When you are present -- you are a present (a gift) to the others who come. Your absence leaves a vacancy that no one can fill. 4. What is Your Small Group Plan? Are you in a small group of believers for mutual support and spiritual encouragement? If not, find one and join! Don't have time? Sorry. The busiest people in our church are in small groups. It's not a time issue. It's a priority issue. You find the time to do what's most imporant to you. Consider the "One Another's" of the New Testament. Most of these can only be accomplished in a small, loving group of brothers and sisters. 5. What is Your Giving Plan? What percentage of your income did you give last year to God's work? Does this reflect your desire to love and serve Him? The tithe (10%) has been the historic benchmark of stewardship. Have you reached that? If not, what is your plan to get there? In the grand scheme, everything we own belongs to God, and thus, He should direct all our financial decisions. I have discovered, in all my years of ministry, that the loudest protesters against biblical generosity are those who do not practice it. IGenerosity is joyful, and tithers never regret it. 6. What is Your Blessing Plan? What are you going to do to bring God's blessing to others this year? What, specifically, is your calling? Start at home and work out from there. How can you bless your spouse? your children? your friends? How can you bless your boss? your co-workers? Your neighbors? How can you bless those who are lost, broken and hurting in your community? How can you make a difference for someone in another part of the world? 7. What is Your Servanthood Plan? Tied closely with #6, what specifically are you going to do to be a part of something bigger than yourself? How will you invest your life to promote God's work -- beyond your own agenda? How can you help by joining in and lifting the burden? Every one of us needs to have at least two places of service -- within the local church (ministry) and beyond the local church (mission). What are yours? May God move us from being mere spectators to FULL participants in His glorious work in this world. May we adjust our lives to reflect this priority. If we fail to plan -- we plan to fail! 1) Parade of Faith by Ruth Tucker. I consider this the best general church history book on the market. 2) Soul Shift by Steve DeNeff and David Drury. An outstanding book on spiritual transformation -- getting us to move outside of ourselves. 3) Circle Maker by Mark Batterson, my favorite pastoral author. An inspiring book on prayer and faith, that has led me to start praying circles around people and projects. 4) The King Jesus Gospel by Scot McKnight. A challenging call to a more robust Gospel understanding. Beyond Jesus as Savior (which is vitally important) to Jesus as Lord. 5) Nearing Home by Billy Graham. A beautiful gift from a wise pilgrim nearing the mountain top. 6) Spiritual Waypoints by Bob Whitesel. An excellent overview of the faith journey, and how we can best engage people where they are. An outstanding resource for evangelism and discipleship. 7) Revise Us Again by Frank Viola. A refreshing, Christ-centered perspective on spiritual life and ministry. 8) The Confession by John Grisham. An action packed novel with a pastor cast as the central character. 9) Dug Down Deep by Josh Harris. Teaching grand doctrines of faith through spiritual autobiography. 10) Population 485 by Michael Perry. A a humorous account of life as a Wisconsin volunteer emergency worker, packed with meaning. Perry know how to turn a phrase. 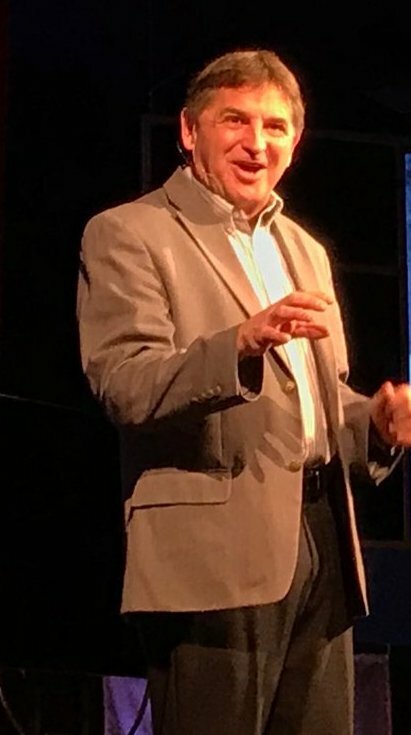 * I hope it's not crass self-promotion to mention the book I've written, Filled Up, Poured Out: How God's Spirit Can Revive Your Passion and Purpose. (To be released April 2012.) As it's author, I've become it's primary reader. On a few occasions recently, I was recently convicted and challenged by statements from the book. I suppose you could say the sermon should fit the preacher first. * Heaven is For Real by Todd Burpo. A heartwarming reminder that there's a glorious home on the other side. * The Enduement of Power by Oswald Smith. A powerful little book written decades ago, which addresses the greatest need of the church. I used it as a resource for my book. * Sermons by John Wesley. During my devotioanl time, since November, I've read several of Wesley's sermons out loud to myself. Reading them silently doesn't work very well for me -- but when I read them aloud, the dry bones take on flesh. * Going Deep by Gordon McDonald. A wise pastor's invitation to mentor young believers, told as a compelling fictional story. * Bush Aglow: The Life Story of Dwight Lyman Moody by Richard E. Day. An old book, giving the inspiring account of the 19th Century's greatest evangelist. Especially helpful when read in conjunction with R. A. Torrey's, Why God Used D. L. Moody. * Sacred Pathways by Gary Thomas. Explores the various ways people grow spiritually, based on their unique personality. A fascinating and liberating read. * Evangelism Handbook by Alvin Reid. A good overview of the histroy, purpose and practive of sharing the Gospel with others. As told by the children of St. Paul's Church, Aukland, New Zealand. 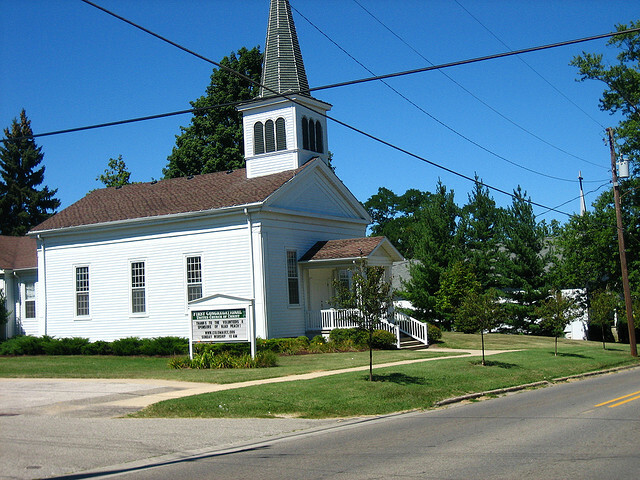 The majority of protestant churches are in small towns and rural communities. Many pastors, upon graduation from seminary, find themselves in one of these "ends of the earth" assignments. The attitude is "I'm stuck here in this one horse town for a while but after I learn the ropes, I'll move on and do something more important." Today, as Christmas approaches, I'd like to challenge the assumption that small places are insignificant. Jesus, God in human flesh, came to the earth on a mission from heaven to transform humanity. He looked the whole world over and picked the perfect place to launch his global and eternal enterprise. Where did he go? What was his strategic missional selection? A small town!! You won't get any Christmas cards with pictures of Rome, Athens, or Jerusalem on them -- It's the little village of Bethlehem that takes center stage each December. Of course, if you want to go further -- Jesus also grew up in a small town (Nazazreth), spent most of his ministry in Galilean hamlets, and headquartered in rural Capernaum. He literally changed the world from end of it! If you have been chosen to serve in a small place, take heart! Be encouraged! You're in excellent company. Jesus was a small town preacher too! 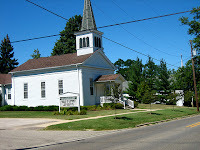 I pray that in days to come, small town and rural churches will rise up, reclaim their heritage, and play a significant role in the coming worldwide revival. Check out this link from my good friend and fellow pastor, Jeremy Mavis of a very interesting map which displays the world via population density: What Does Seven Billion Look LIke? And our mission is to bring holy love to ALL of them! I'm a church history buff. That's the stuff I read for fun. The stories of faith heroes from the past stand as present inspiration. I was thrilled, therefore, when my dear friend, Ruth Tucker's Parade of Faith (Zondervan) was released this year. Parade of Faith is, hands down, the best general church history book on the market today. I have several volumes of noteworthy histories on my shelves -- but Tucker's surpasses them all. 1) Ruth Tucker is a story-teller. She is a master of biographical history, and that's what makes it powerful and interesting. History is wonderful when it's told as a story, and horriblly boring without skin on. Tucker makes it come alive! 2) The book is packed with outstanding pictures. I like that! A picture paints a thousand words. Tucker's excellent use of illustrations makes this book stand apart from the others. 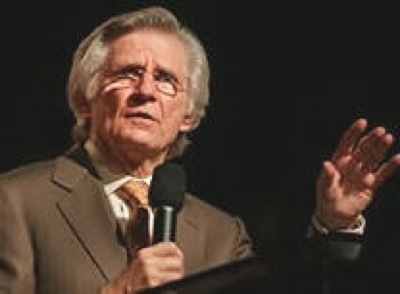 3) The Parade of Faith includes branches from many different faith streams, and treats them all respectfully.. For instance, Tucker includes a little bit about the founding of the Wesleyan Methodist Church. Most general church history volumes omit that. 4) I appreciate the way Tucker handles the various characters of history. She doesn't whitewash the facts, but in a disarming manner, introduces these colorful individuals as long-lost friends. She made them so fascinating I decided to do a little more digging on the lives of significant faith giants. 5) The Parade of Faith is up to date. It brings the histroy all the way to our back door. 6) The book is clear and fast-paced. Tucker writes in the present tense most of the time and jams a ton of content into a small space. In other words, she doesn't spin her wheels. Occasionally, I had to stop readhing just to catch my breath! This past Tuesday, our family participated in St. Scholastica's Handel's Messiah Sing-a-Long. The entire audience was the choir, and it was a rapturous experience! Although we were lost in the notes half the time, the message of this grand oratorio was not lost on us. CHORUS And the glory of the Lord shall be revealed, and all flesh shall see it together;for the mouth of the Lord hath spoken it. I will shake all nations; and the desire of all nations shall come. The Lord, whom ye seek, shall suddenly come to His temple, even the messenger of the covenant, whom ye delight in: behold, He shall come, saith the Lord of Hosts. appeareth? For He is like a refinerÕs fire. and CHORUS O thou that tellest good tidings to Zion, get thee up into the high mountain: O thou that tellest good tidings to Jerusalem, lift up thy voice with strength; lift it up, be not afraid; say unto the cities of Judah, Behold you God! Arise, shine, for thy light is come, and the glory of the Lord is risen upon thee. the brightness of thy rising. that dwell in the land of the shadow of death, upon them hath the light shined. RECITATIVE. 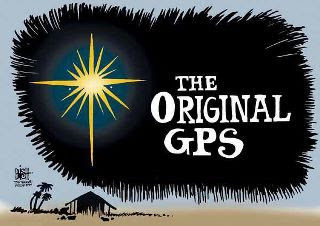 (Soprano) There were shepherds abiding in the field, keeping watch over their flock by night. RECITATIVE. (Accompanied - Soprano) And lo! the angel of the Lord cam upon them, and the glory of the Lord shone round about them, and they were sore afraid. 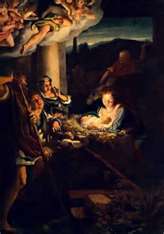 born this day in the City of David, a Saviour, which is Christ the Lord. 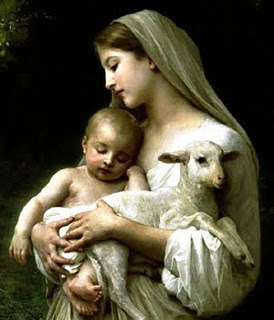 Rejoice greatly, O daughter of Zion Shout, O daughter of Jerusalem! behold, thy King cometh unto thee! He is the righteous Saviour, and He shall speak peace unto the heathen. Then shall the eyes of the blind be opened, and the ears of the deaf unstopped; then shall the lame man leap as a hart, and the tongue of the dumb shall sing. He was despised and rejected of men; a man of sorrows and acquainted with grief. He gave His back to the smiters, and His cheeks to them that plucked off the hair: He hid not His face from shame and spitting. Surely He hath borne our griefs, and carried our sorrows! He was wounded for our transgressions; He was bruised for our iniquities; the chastisement of our peace was upon Him. And with His stripes we are healed. of heaviness. He looked for some to have pity on Him, but there was no man, neither found He any to comfort Him. He was cut off out of the land of the living; for the transgression of Thy people was He stricken. Thou art gone up on high; Thou hast led captivity captive, and received gifts for men, yea, even for Thine enemies, that the Lord God might dwell among them. Why do the nations so furiously rage together, and who do the people imagine a vain thing? The kings of the earth rise up, and the rulers take counsel together against the Lord, and against His Anointed. Hallelujah: for the Lord God Omnipotent reigneth. The kingdom of this world has become the kingdom of our Lord, and of His Christ; and He shall reign for ever and ever. King of Kings, and Lord of Lords. Hallelujah! I know that my Redeemer liveth, and that He shall stand at the latter day upon the earth; and though worms destroy this body yet, in my flesh shall I see God. For now is Christ risen from the dead, the first-fruits of them that sleep. Then shall be brought to pass the saying that is written; Beats is swallowed up in victory! O death, where is thy sting? O grave! where is thy victory? The sting of death is sin, and the strength of sin is the law. If God be for us, who can be against us? who shall lay anything to the charge of God's elect? It is God that justifieth, who is he that condemneth? It is Christ that died, yea, rather that is risen again, who is at the right hand of God, who makes intercession for us. Worthy is the Lamb that was slain, and hath redeemed us to God by His blood, to receive power, and riches, and wisdom, and strength, and honour, and glory and blessing. Blessing and honour, glory and power, be unto Him that sitteth upon the throne, and unto the Lamb, for ever and ever. My son, Ryan, brought some perspective to the situation when he informed me the Colts had just won their first game of the season on the same day. 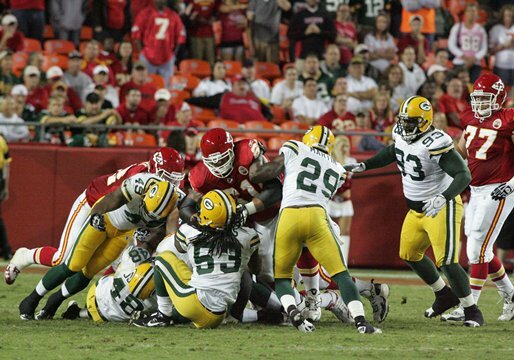 I imagined the Packers slumping to the lockers under a gloomy cloud of disappointment and discouragement. Meanwhile, I pictured the Colts cheering in wild jubilation and slapping each other on the back. 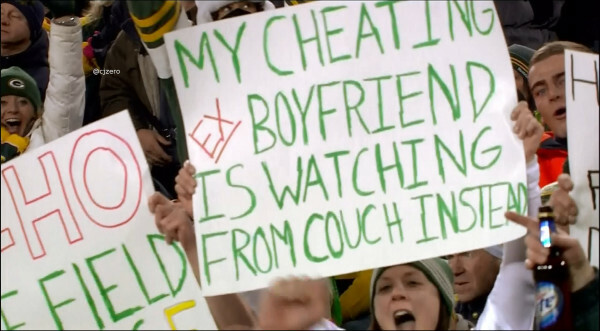 Sometimes, like the Packers, We end up getting beat by perplexing problems. When life takes a negative turn, we tend to sag in discouragement. If we’re not prayed up and filled with positive juice, the negative stuff can sink into the human spirit like a brick, It is easy to let yesterday’s defeat describe today’s reality. The truth is, you are not a failure if you experience a loss. When you lose, it doesn’t mean you’re a loser – only that you’re a human being. In reality, the only true failure is failing to try again. Come to think of it, only one team in NFL history had a perfect season – and that was four decades ago. Those guys are all carrying AARP cards now. The 1972 Miami Dolphins impressed the world with a 17-0 record, but even these gridiron titans fell to the Raiders the following September. Nobody wins all the time. Everyone has to face defeat sooner or later. The question is, how will you respond to it? What will you learn from the experience? Is this failure a stop sign or merely a detour? If you’ve suffered a recent set-back, step back and look again. You might just realize you’re still 13 and 1. The following poem was written by my 89 year old mother, Elsie Wilson. Way to go Momma!! Is it lots of gifts beneath the tree? Is it lovely lights, which brightly glow? Is it sending cards to all we know? Is it rushing from store to store? Shop till you drop and then some more? Is it Santa Claus, with a load of toys? Dolls for the girls and trucks for the boys? Is it cooking and baking those good Christmas treats? Is it just a time when the whole family meets? No, none of these things mean Christmas to me. There’s a far greater meaning than any of these. This gift of salvation is offered to man. Our sins are forgiven when we confess and receive. I think Jeremy nailed it. A Report on the Size and Distribution of the World's Christian Population by the Pew Forum. Doug Wilson on the Recent Passing of Noted Atheist, Christopher Hitchens. 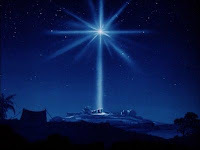 The aim of God at Christmas is to make the goodies of the world lose all their attraction in comparison to the surpassing glory of hte divine Name. The essence of Christmas purity is not what you stand against, but what you stand in awe of, the glorious name of God. -- John Piper, "You Shall Go Forth Leaping Like Calves"
The Cupboards are About to Burst! The cupboard doors are bulging (with abundance and blessings). They are about to spring open because they cannot be contained much longer. It is HE who holds the doors. His time is perfect. He will release them when it is time and they will pour out like when a dam bursts and all the water gushes. They will come all at once. He has great plans - plans which cause us to rejoice. Plans for a "great" future. AND because of that we will say, "There is joy in the house of the Lord". It just seems so obvious that we will be joyful because of what He does. We won't be able to do anything except rejoice. It will overflow from us, just like a dam bursting. It will gush forth. I'll receive that! It's just the good word I needed to hear today! Read the rest of the wonderful post here. Is this, all sufficient for me and for you. Just trust and remember, "He giveth more grace." Just look through your tears for a glimpse of God's face. And cling to the promise, "He giveth more grace." "I need just a little more grace, Lord, today." "He giveth more grace" as your need may demand. Last week, during the funeral service of my friend, Nan Burns, one of the finest eulogies I’ve ever heard was delivered. 1) Nan was an extraordinary person – thus giving her friend plenty of good material to use for the eulogy. 2) The right words, spoken in the right way, can capture the beauty of a life. 3) The best way to have beautiful things spoken about you at your funeral is to live a beautiful life. This moving tribute included a reading, which Nan had penned in calligraphy and given to the reader as a gift. As he read it, I immediately sensed that I should share it in this week’s Positively Speaking column. Someone – perhaps you -- needs to hear this message. What you spend building may be destroyed overnight. Build anyway. At least he's making a joyful noise. . . I've always considered philanthropy an activity reserved only for the rich and famous. Laura Arrillaga-Anderson, in Giving 2.0, sees it differently. "A philanthropist", she says, "is anyone who gives anything -- time, money, experience, skills, and networks -- in any amount to create a better world." In other words, if you use what you have to make a positive difference, then you're a philanthropist, just like Bill and Melinda Gates! The inclusion of volunteerism in the philanthropy category was a new concept for me -- but I see point. Investing ourselves is the highest level of giving. It is truly rewarding,a nd makes the greatest impact. Investing our money to transform the world is also a worthwhile endeavor. Giving 2.0 is a a comprehensive guide to assist donors in making wise decisions with their charitable funds. Arrilaga-Anderson gives brilliant advice for making strategic charitable investments. She provides practical advice on how to research and select the best transformational bang for your non-profit buck. I especially appreciate her emphasis on including the whole family in the charitable endeavor. She suggests establishing a special fund for this kind of giving, including the whole family in the donation decision. As a pastor, I appreciated the author's recognition of tithing as a benchmark for generosity. This book is packed with helpful hints for the novice donor as well as the seasoned philanthropist. Each chapter concludes with a list of excellent tips -- from enlisting in volunteer service to establishing foundations and donor advised funds. The book includes a list of several thought provoking questions in the appendix to guide the donor to a more purposeful generosity plan. This list, alone, is worth the price of the book. I've never come across a better resource to assist people in transformational giving. The accompanying website: Giving2.com also provides tons of philanthropy resources. "Here Am I, Lord Send Me"
Billy Graham's final book, Nearing Home, is a road map for growing old. After all, as the great Christian statesman declares, "Old age is not for sissies." This mighty man of God has given us a wonderful gift by sharing this part of his life with us. Standing at the peak of the mountain, he looks back, sees how far he has climbed, shares wisdom from the journey, and marvels at the glorious summit. As I turned the pages, I felt as if I was holding a precious treasure in my hands. This book especially encourages those who are in life's final chapters, infusing hope and blessing into the difficulties common to aging. The last chapter, on heaven, thrilled my soul, and made me want to be there! Senior saints will find tremendous blessing and spiritual help from these pages. Young pastors will benefit from them as well. It will help them understand and treat the older members of the congregation better. If they had facebook back when Jesus was born, it might have gone like this. 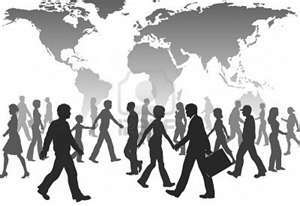 The world is at seven billion people now. Where do you fit in that number? BBC has a handy tool to help you figure it out: The World At Seven Billion. Yesterday, I received an e-mail from my friend Bill, sharing a snappy Country Gospel song, which really inspired me. I also received a "spiritual journey" assignment from one of the ministerial students I teach. In her 17 page paper she shared many deep and personal experiences from her life. It was truly a dramatic story of redemption. Somehow, by mistake, I replied to the ministerial student, when I thought I was responding to Bill. My e-mail read: "I love it!! I’m going to link it to my blog – and see how we can fit this into a country gospel jam. Thanks Bill!" The baffled ministerial student replied, "I'm glad you loved it, but I'm not sure I want my spiritual journey in a country gospel jam. Who is Bill? I don't remember any Bill in all those 17 pages." The other day, while digging through old files, I found some interesting clippings from The Wesleyan Methodist Magazine. These articles, written over five decades ago, by Dr. Oliver G. Wilson, struck a deep chord with me. Although culture has changed considerably since that time, the essence and need of humanity remains the same. We all need to belong, to be loved, and to be encouraged. This is true for all people at all times, in any cultures. 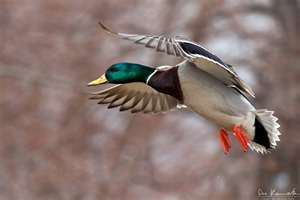 One delightful article told of Dr. Wilson’s friend who, driving down the street, saw a mallard sitting on the sidewalk. The gentleman was intrigued by the unusual sight. He stopped his vehicle, got out and approached the sitting duck. Alarmed, the duck sprang to his feet and started running as fast as his little ducky legs could carry him. The man decided to follow the worried bird. Anxiously looking back over his shoulder, the terrified mallard ran faster, and the man speeded up behind him. Finally, after a running a couple of city blocks, the duck remembered he had wings. Flap! Flap! Flap! Flap! He soared into the sky and out of harm’s reach. Dr. Wilson then made the astute observation that many of us, facing fear, are like sitting ducks on the side of the road. We waddle around in discouragement, paralyzed by anxiety. In the middle of harried situations, we forget that we were created to fly. Use your wings, if you want to move beyond the earth-bound things. Use your wings if you hope to soar above life’s adversities. Use your wings! Instead of running away from your troubles, fly above them! 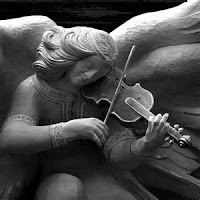 What are the wings of the human spirit? Faith and Love! These are God’s greatest gifts to us and they will help us rise above any difficult situation. If you have enough faith and love, you can overcome just about anything.